In January, the Department of Homeland Security announced the recipients of $10 million in grant funding for its Countering Violent Extremism initiative, which has been opposed by the American Civil Liberties Union, the Council on American-Islamic Relations and other civil rights groups for reportedly discriminating against Muslims. Critics say that Countering Violent Extremism, also known as CVE, relies on false indicators to identify at-risk individuals, singling out those who grow beards, regularly attend mosques or participate in political causes. Among the 31 grant recipients nationwide was the Illinois Criminal Justice Information Authority, an agency that addresses issues within the state’s criminal justice system. DHS awarded the agency a $187,877 grant to develop a CVE program to help “off-ramp individuals who exhibit warning signs of radicalization to violence” that is “ideologically inspired,” according to a copy of the grant application provided to Chicago Tonight by ICJIA. 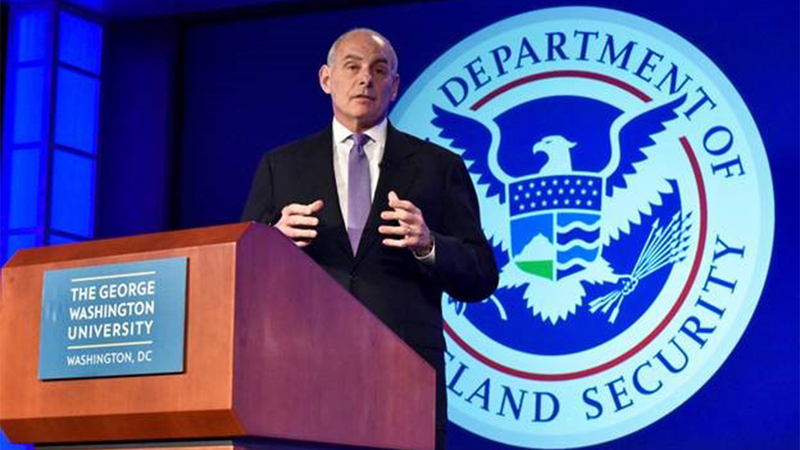 DHS says such programs are designed to deter potential extremists by improving partnerships between community and religious leaders and groups such as law enforcement, health professionals, teachers and social service employees. But critics of CVE say the strategy has had the opposite effect, further stigmatizing American Muslims and casting unwarranted suspicion on harmless activities or behaviors, such as kids who show signs of alienation. CVE opponents also argue that the program has not been shown to prevent crime, and that it is based on debunked theories that falsely link political or religious views to propensity for violence. Nguyen, who has studied CVE efforts for more than a year, said the counter-extremism initiative often amounts to intelligence gathering veiled as community-based programs. Ahmed Rehab, executive director of the Council on American-Islamic Relations’ Chicago chapter, said CVE frames the issue of extremism as law enforcement versus the Muslim community, rather than law enforcement versus suspects. “It gives the false impression that violent extremism is a headline issue in the Muslim community rather than a hidden, underground and extremely rare issue,” Rehab said. Junaid Afeef, who is overseeing the ICJIA’s new program, said it is designed to address radicalization to violence “across the spectrum” and is not focused on a single faith community. Not all Muslim organizations are opposed to such programs. Nguyen said a leading supporter of CVE efforts locally has been the Council of Islamic Organizations of Greater Chicago, which applied for one of the DHS grants but was not selected. On Tuesday, the White House released a budget proposal that would eliminate all funding for CVE programs. Congress must vote on the budget, however, and there are likely to be amendments to the budget put forth by the White House. Previously, President Donald Trump had sought to revamp the entire CVE initiative to focus solely on Islamist extremism, according to a report published by Reuters in February. If it does secure its grant funding, ICJIA plans to develop a training course for 150 community leaders at faith-based organizations, schools and volunteer service groups in Chicago, DuPage County and Springfield. The course, which will be a maximum of three hours, will educate community members about warning signs of radicalization and motivate them to be “engaged bystanders who want to step up and help those in need,” the agency’s application states. Those who complete the training will then be able to educate other community members, according to the application. But Nguyen, who reviewed the application, said the program does not explain how family or friends of someone preparing to commit an act of violence would know which “warning signs” to take seriously. Afeef said ICJIA welcomes oversight of the agency’s counter-extremism program. “Because we want to be transparent and we want to do this the right way and learn from mistakes of the past, we’ve tried very hard to reach out to civil rights organizations and to ask them for our feedback and ask them to be the watchdogs and tell us when we step out of line,” he said. Feb. 8: Among the last refugees to enter the U.S. before President Trump signed his executive order on immigration was the Al-Obaidi family from Iraq. Chicago Tonight went to meet the family and the Chicagoans who are welcoming them. Jan. 30: The Council on American-Islamic Relations filed a federal lawsuit Monday over the constitutionality of President Donald Trump’s executive order, which they say targets Muslims. Sept. 21: We look at what the recent bombings in New York and New Jersey say about counterterrorism efforts in the U.S.